Fast erase AC adapter-psplfh0142, sold separately optional headset weight-4.2 oz. (Without batteries) includes end-of-tape/no-cassette warning, built-in microphone, LED record indicator, LED battery indicator, external microphone jack, quick record/quick review, easy one-handheld control. 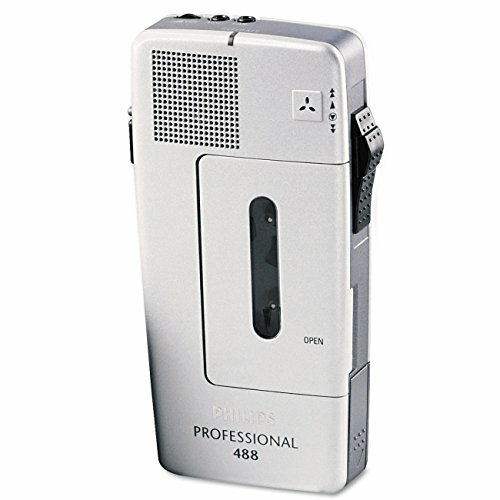 Includes end-of-tape/no-cassette warning, built-in microphone, LED record indicator, LED battery indicator, external microphone jack, quick record/quick review, easy one-handheld control.